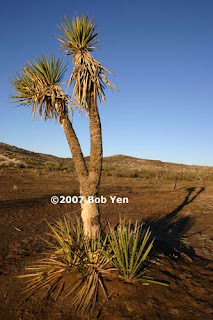 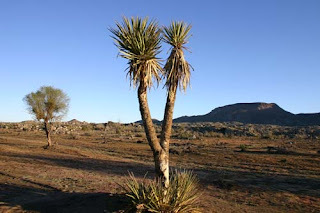 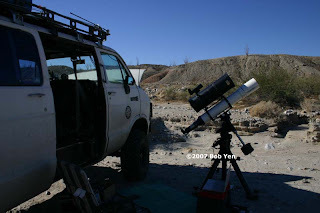 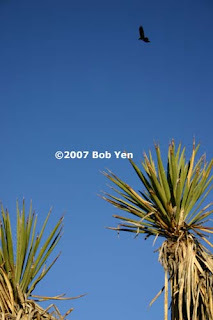 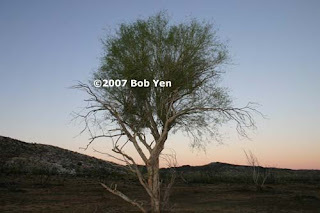 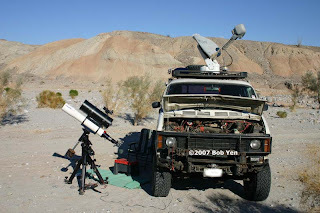 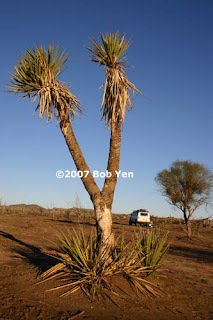 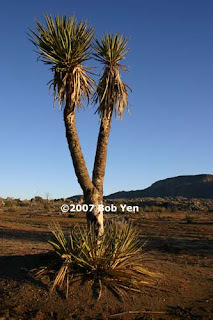 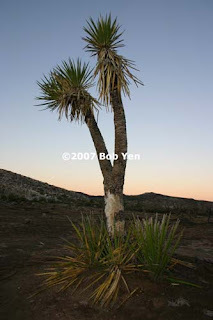 I'm blogging from Anza Borrego/Arroyo Salado, after traveling here from Baja Mexico (Jamau). 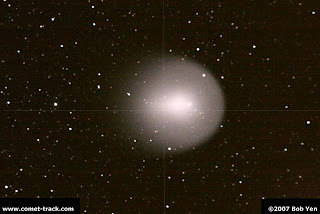 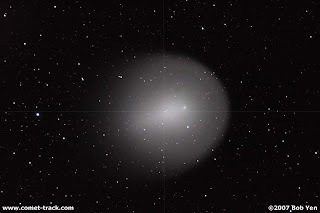 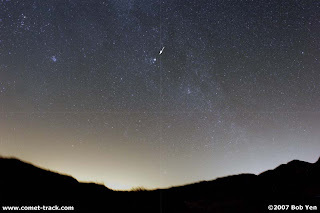 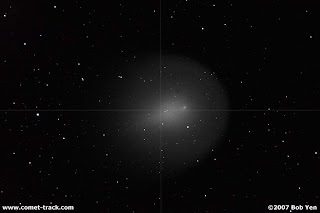 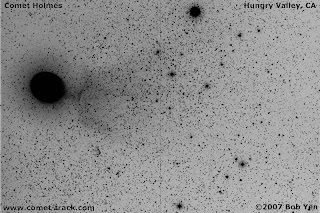 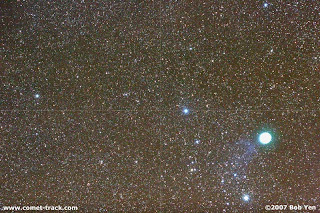 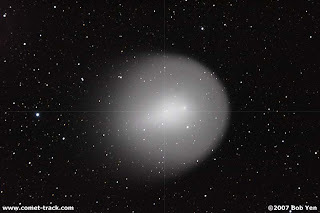 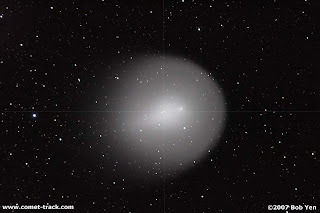 As in Jamau (11/12 & 11/13), the comet has lost its wildly dynamic ion tail. 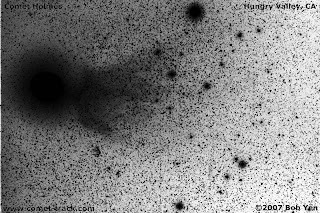 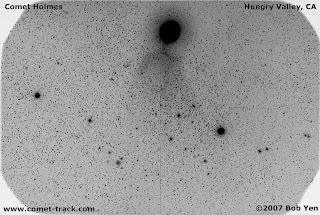 However, in 10x50 binoculars it's size is increased noticeaboy ("big fuzzball") & you can discern the nucleus (!). 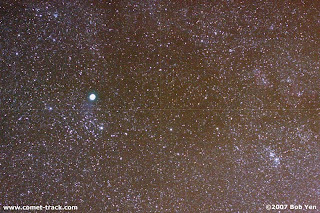 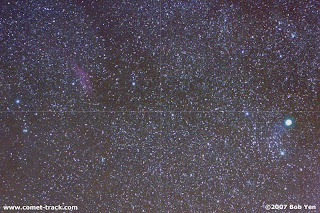 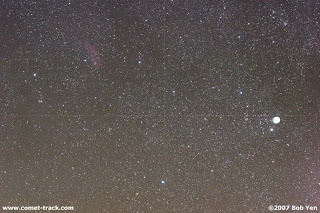 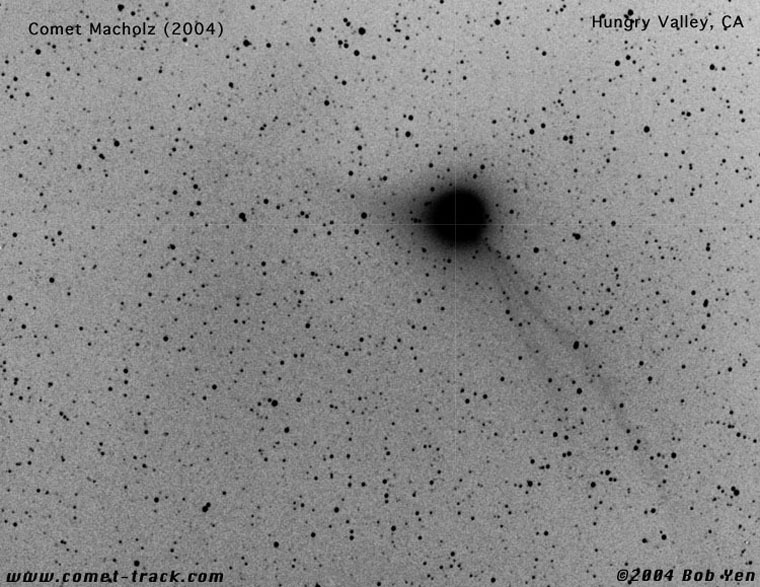 Saw a nice Leonid mag 1 meteor @12:45am which left a persistent trail (Leo was 10 deg up in the east). 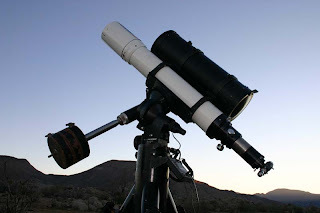 Night was balmy, around 65 deg, I was practically in short sleeves. 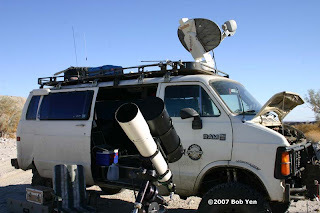 Reminds me of the Leonid Metoer Shower in '98 (where I observed from this location). 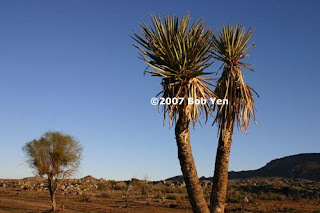 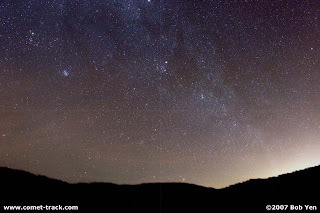 Arrived here @10pm pretty exhausted & spent the whole night photographing until dawn. 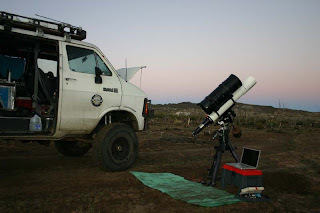 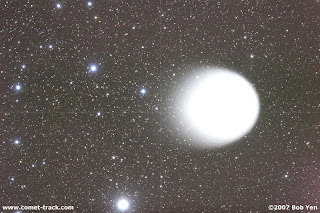 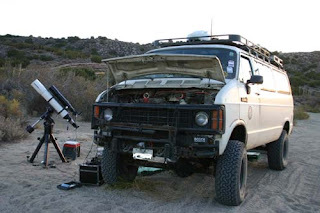 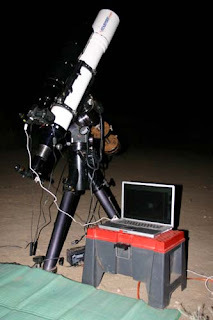 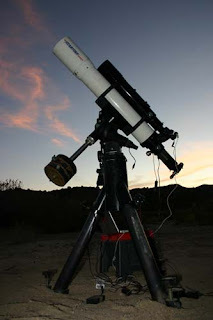 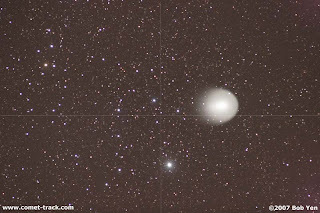 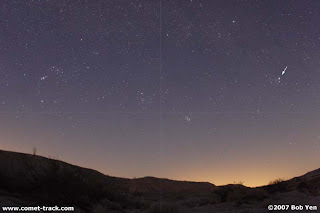 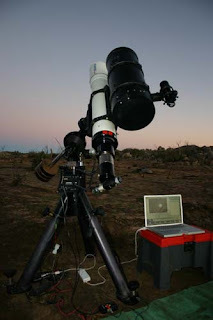 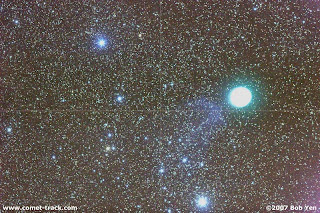 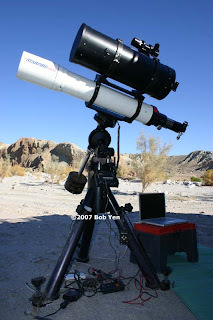 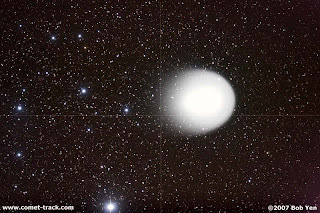 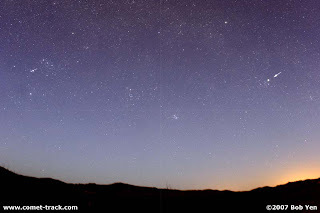 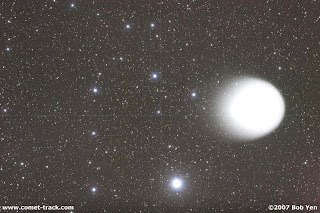 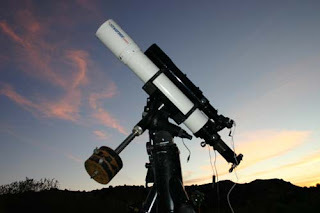 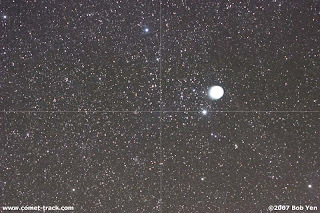 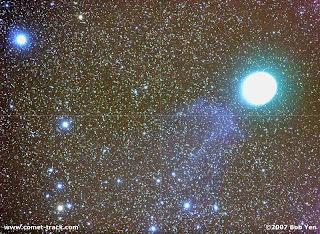 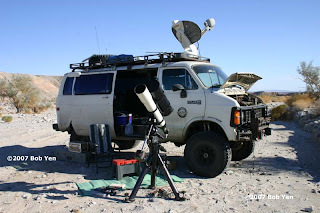 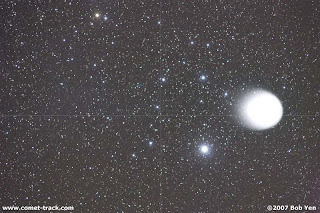 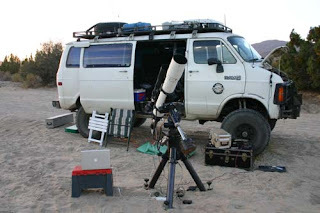 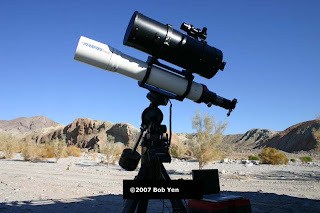 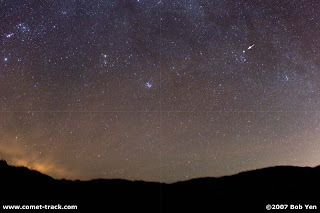 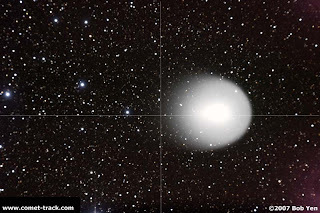 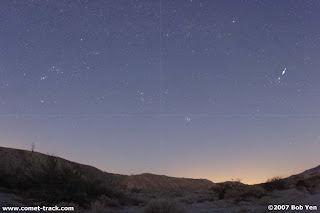 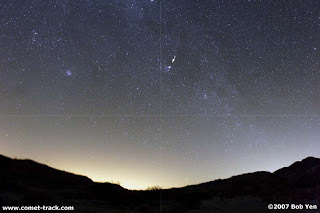 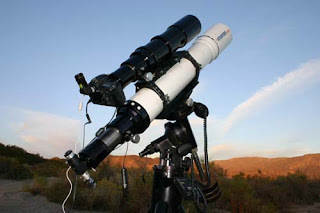 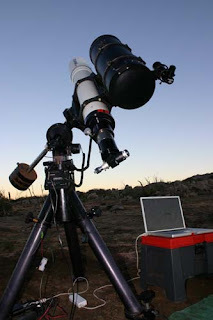 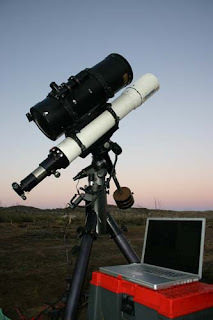 I'm blogging from Jamau (Baja Mexico) after a night-session photographing Comet Holmes. 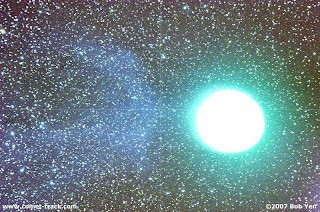 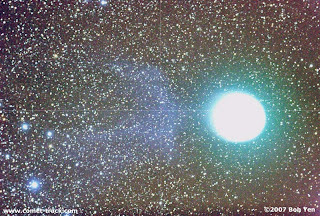 The photos are not showing the ion tail like last week. 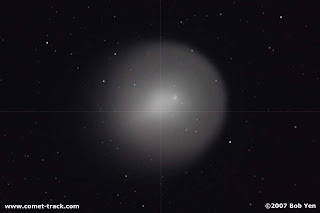 In the telescope eyepiece, the coma is very diffuse (more than last week).